I’ve been reading less comics and more novels these days, but occasionally the two meet in a harmonious manner. Comics scribes such as Greg Rucka and Peter David are also prolific novel writers, for example. However, lately I’ve noticed three examples. 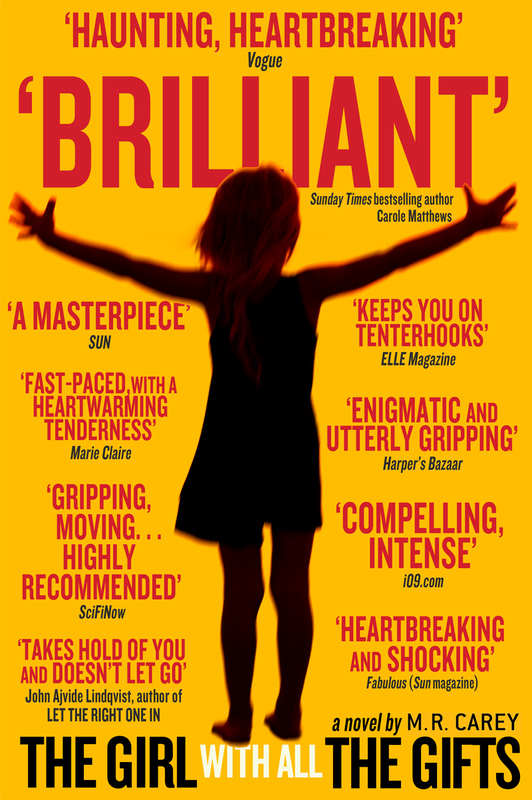 This week I picked up The Girl With All The Gifts, as I’ve seen it mentioned on a few websites, and also in the spotlight from some of my local bookstores. I was intrigued by the author’s name – M.R. Carey, and after reading the author blurb I realised that this was actually Mike Carey, the British comics writer of such series as Hellblazer, and X-Men. Writer Alex Irvine has also written for both media with an impressive list of characters and franchises to his name, including Transformers, Batman, Pacific Rim, Iron Man, as well as comics for Marvel such as Daredevil Noir, and the Marvel Ultimate Alliance online game. 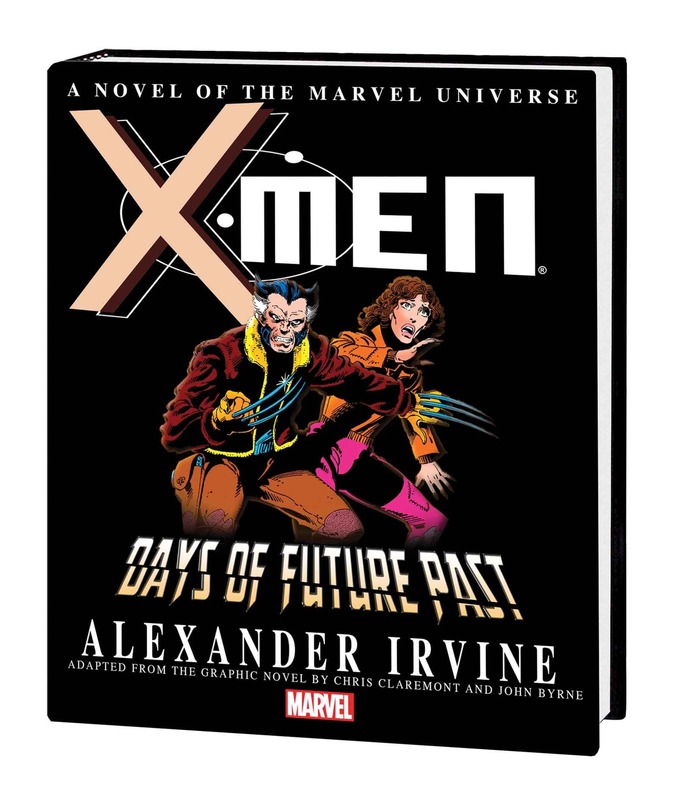 I saw his name attached to the prose adaptation of the classic X-Men: Days of Future Past storyline from the comics in a recent Previews catalogue, so I ordered it. I’m aware of the original comics storyline from 1980, and the upcoming film, so I thought I’d take this chance to delve a bit deeper into this much-loved tale when the novel is released in May. 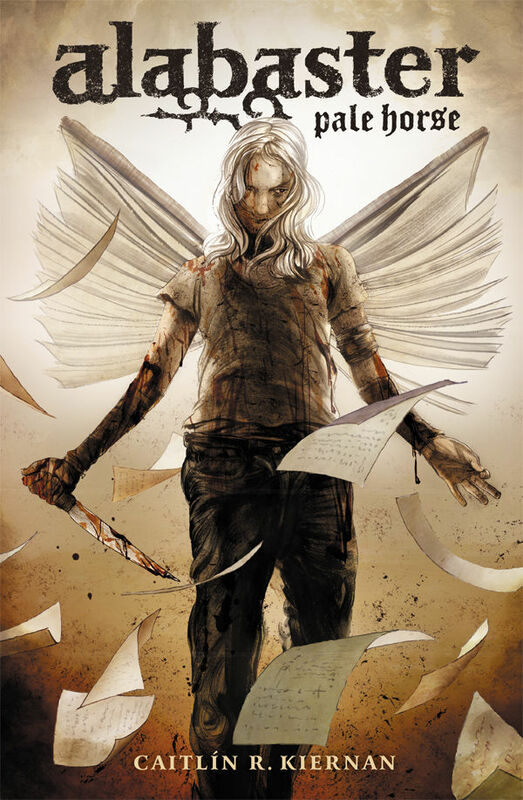 Finally, Dark Horse recently released Alabaster: Pale Horse, an anthology of short stories by Caitlin R. Kiernan. The book is actually a re-release, with a new introduction by the author, (and startling illustrations by Ted Naifeh), but is a great entry in to the fantasy world of her character Alabaster. Dark Horse also have the Alabaster: Wolves Trade Paperback collecting the five issue mini-series focused on the same albino character Dancy Flammarion and her dealings with the supernatural, as well as the upcoming collection Alabaster: Grimmer Tales, with both feature interior art from Steve Lieber. Releasing on March 26 is the debut issue of Blackout from Dark Horse Comics. Here’s a sci-fi-tastic preview. 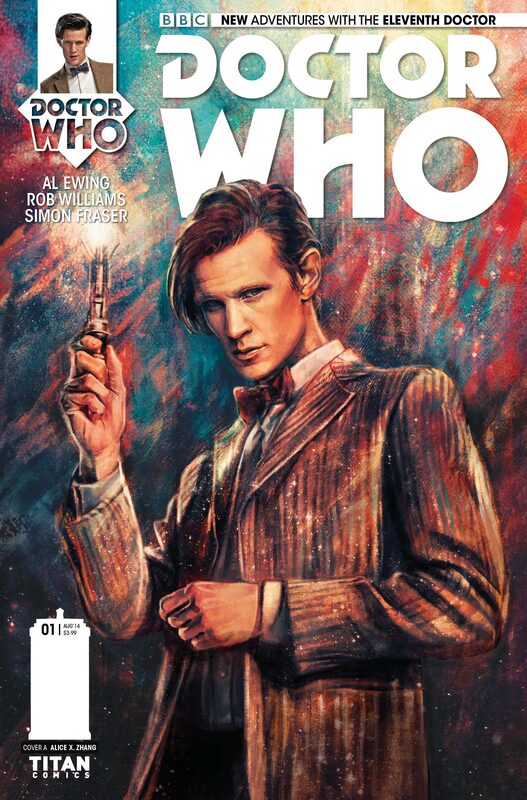 As recently announced, UK publisher Titan Comics will now be publishing new comics based on the tenth and eleventh incarnations of Doctor Who, and below is the first info, as well as the first superb covers. THE TENTH DOCTOR IS BACK, IN AN ALL-NEW ONGOING SERIES! NEW COMPANION! NEW HORIZONS! UNFORGETTABLE NEW FOES! ALLONS-Y! 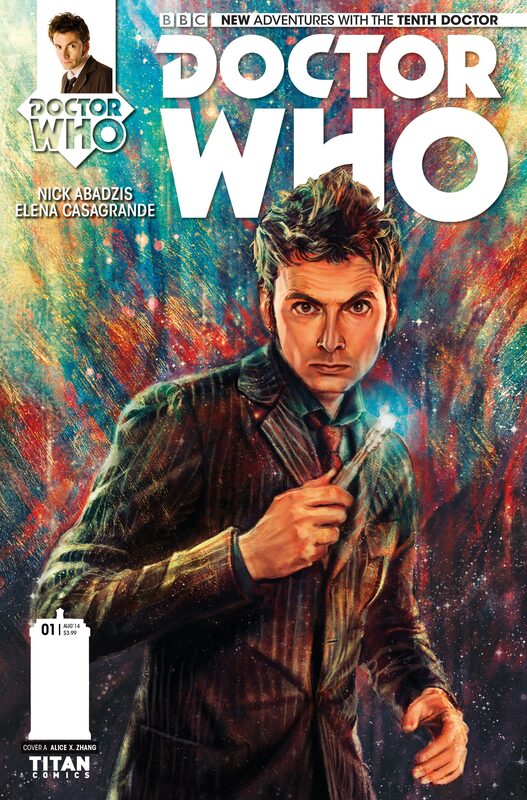 Eisner Award-winning writer Nick Abadzis (Laika) and fan-favorite artist Elena Casagrande (Angel, Suicide Risk, Doctor Who, Star Trek) take control of the TARDIS for their first five-issue arc with the Tenth Doctor! 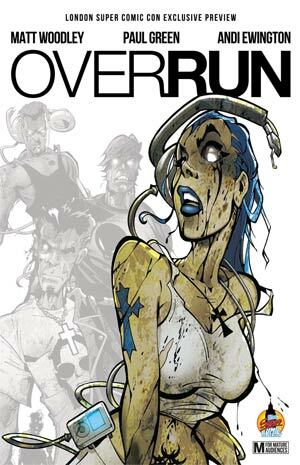 And don’t miss the second arc, by fellow series architect Robbie Morrison (Drowntown, Nikolai Dante, The Authority)! THE ELEVENTH DOCTOR RETURNS IN AN ALL-NEW ONGOING SERIES, WITH A TIME-TWISTING LEAP INTO THE UNKNOWN! GERONIMO! Series architects Al Ewing (Loki: Agent of Asgard, Mighty Avengers, Trifecta) and Rob Williams (Revolutionary War, Ordinary, Miss Fury, The Royals: Masters of War, Trifecta) kick off a whirlwind adventure through eternity for the Eleventh Doctor, with artist Simon Fraser (Nikolai Dante, Grindhouse, Doctor Who)! The latest instalment from Mice Templar creators Bryan J.L. Glass, and Victor Santos hits shelves, and it hits hard. 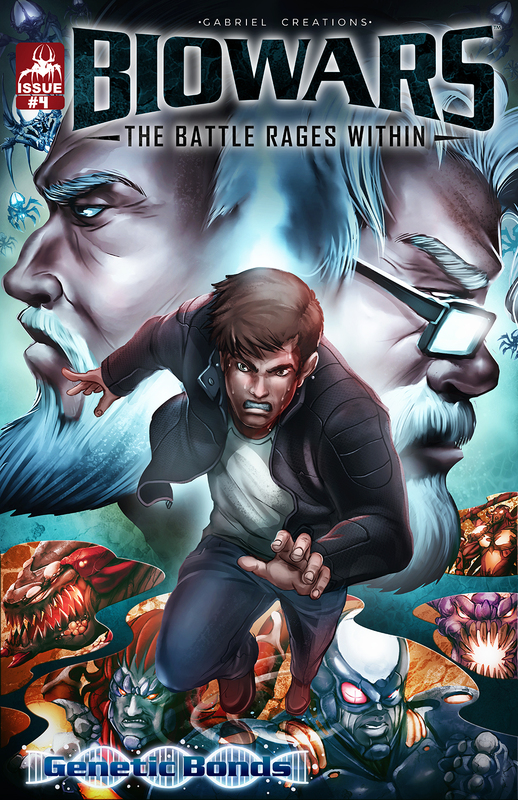 Those who read last month’s debut will be aware that this new mini-series about the melding of fame and superpowers is a mature take on superheroics, and this issue dials it up even more. The first two pages here serve as a strong indication of what’s coming. 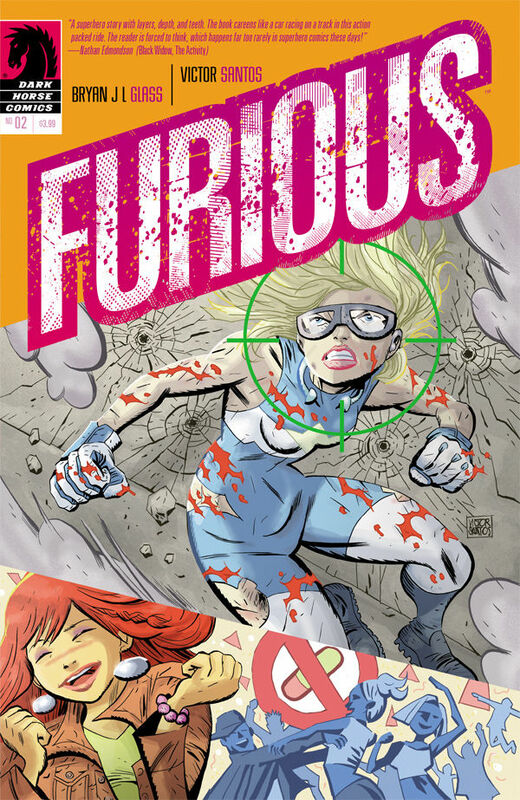 With Furious, the world’s first super-hero questioned and praised at every turn, something’s got to give. Here, we get a greater look at Furious’ past from a survivor of a family tragedy to a rising child star to an unexpected superhero. Throughout those stages of her life however, the bitterness and anger remain, and the unexpected superpowers don’t erase them. As for those superpowers, there is a lot we don’t know about them. There is an almost dismissive mention of the titular hero waking up on the ceiling upon discovering her abilities, and using kinetic energy, but the focus is on the characters, not the origin, and that’s a smart move. Or, rather the focus is on the character, that being Cadence Lark, the alter ego of Furious. It’s interesting to note that we never see Cadence in her civilian guise, apart from the flashbacks. Perhaps Cadence is finding comfort in the colours of a skintight costume as Furious, (or Beacon as he prefers to be called, but never is). Maybe it’s a coping mechanism of Cadence’s traumatic past, or maybe she sees the life of a superhero as just another role to play. It’s testament to Glass’ strengths as a storyteller that this series can be examined and enjoyed from more than one angle. Furious has noble intentions, and certainly makes strides towards peace in her community, but she is a controversial figure; equally declared as awesome or dangerous, and with the local trigger happy police, she begins to comprehend the scope of her powers. Santos’ art is not filled with beauty. That’s not to say it isn’t pretty to look at. It is, but rather than reveal the glitz and glamour of the high life of the young Cadence as a film star, he chooses to match the darkness and ugliness of what that life can bring, matching Glass’ thematic explorations. The flashbacks of Cadence’s youth, as she struggles with losing the entirety of her family besides her increasingly erratic father, are sad, dark and real. Cadence becomes a sympathetic character during those looks at her past, and the familiar struggles we’ve seen before with many immature celebrities are brought to the fore. Using broken mirrors as a framing device is clever, as is using the same pose with a mysterious new threat that we saw on Furious’ debut. It appears this dangerous, costumed woman has something personal against Furious and is about to make her mark on her world. 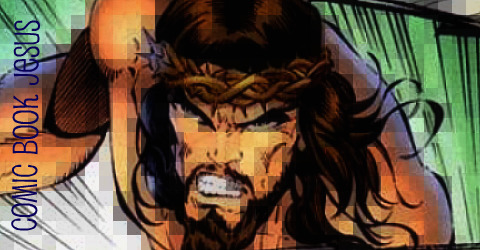 Up until this point, Furious’ greatest enemy has been herself, or rather how she is perceived, so an external threat will bring the story to dangerous new places. Glass and Santos are building a mystery with Furious, and it’s an intriguing one. They’ve been throwing crumbs since the first issue, with more surprises surely to come.